This study looked at the effectiveness of the arrangements for transferring resources from health boards to local authorities to help pay for additional services for people who no longer need to be cared for in hospital under the policy of care in the community. It took place during the period of local government reorganisation, focusing on expenditure in 1995/96. 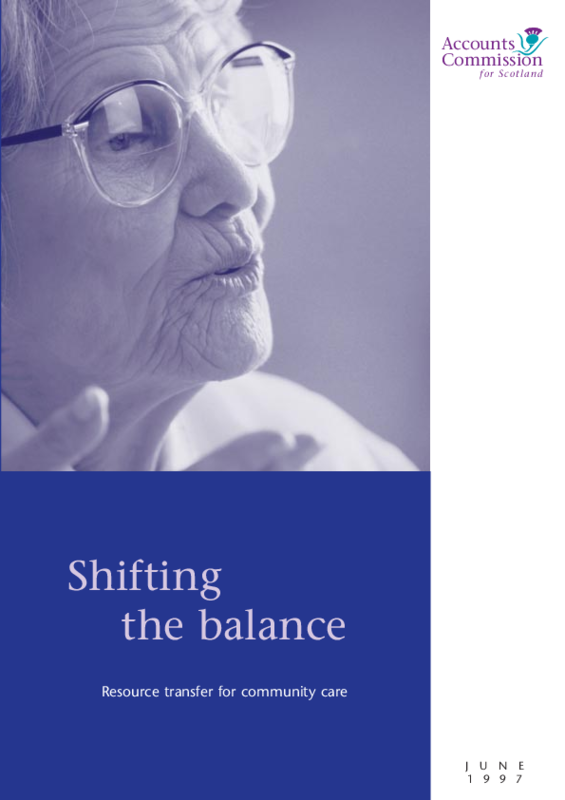 Its findings provide valuable pointers to the scope for improving the shift in services and people both through local action and by a review of the national arrangements for funding community care. As well as giving examples of current good practice, the report contains useful information on the comparative level of transfers by authority and care group, and analyses how resources are generated and spent. The study is the first in a series reviewing the implementation of community care.